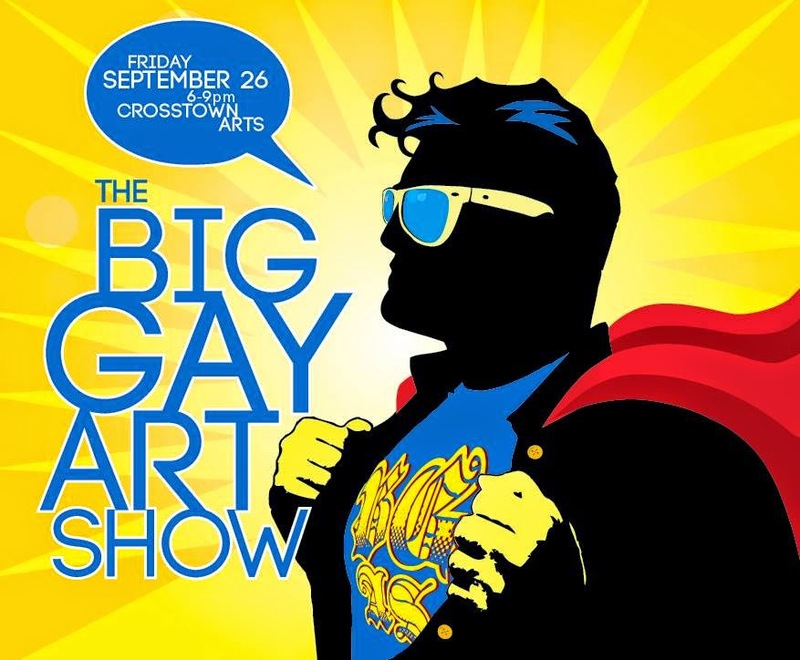 The Big Gay Art Show kicks off Pride weekend in Memphis at Crosstown Arts, featuring regional artists - working in painting, photography, video and performance - dealing with themes of sexuality, gender identity and contemporary queer issues. A performance by storyteller Elaine Blanchard (Voices of the South, Prison Stories) and a special screening of the film Underage by internationally recognized photographer and artist Ohm Phanphiroj are scheduled. Robert Hollingsworth, Gallery Director of David Lusk Gallery, and Museum Professional Kathryn Maish of Visual Memphis and C.H. Nash Museum, act as jury for selection. The show is curated and hosted by Thomas Everett Green and Kevin Mitchell, faculty members of Memphis College of Art. The show is open to the public with a suggested audience of individuals 18 years of age and older. For more information, contact Thomas at thomas.green@mca.edu.